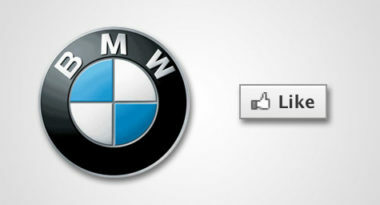 MediaPost.com recently reported that BMW, Clinique, and Audi topped the list of 100 luxury brands on Facebook. These findings were the result of a new study by digital think tank, L2, and Facebook marketing firm, Buddy Media, which rated brands based on the size and growth of their Facebook community, the quality of their content, the level of visitor engagement, and their integration across additional online platforms. Automotive and beauty brands earned seven of the top ten spots, while brands in the jewelry and watch categories had the lowest average rankings. The study profiled some of the leading brands’ outstanding efforts, such as BMW’s ability to engage its 5.7 million Facebook fans with a variety of content-like videos and photos. Another standout was fashion brand Tory Burch, which earned a place in the top ten by integrating its Facebook presence with its online catalog, providing links to its Facebook page on its main brand page and letting visitors post comments on its wall. “Prestige marketers are making significant investments in Facebook growth, but many still fail to authentically engage with their fans,” stated L2 founder and NYU marketing professor, Scott Galloway. Some of the lowest-ranking brands on the list included Harry Winston, Patek Phillipe, and Dom Perignon. The study revealed that 49th-ranked Burberry had the largest fan base overall with 6.1 million fans, while the cosmetics companies, Smashbox, Bare Escentuals, Pandora, SK-II, and Valentino claimed the most active fans. The fastest-growing brands over the past year included Valentino, Dewar’s, Chopard, Johnnie Walker, and IWC. While none of the 100 brands on the list were involved in e-commerce on Facebook, media analysts anticipate the emerging “F-commerce” to be the largest area of brand investment on Facebook in the coming year. This development will undoubtedly open up numerous new opportunities for brands to attract, engage, and acquire fans as they leverage the luxury shopping experience to the fullest.